Browsing through various pins at Pinterest does give us a treasure trove of different ideas. Last week, I saw how orange peels were put into use before they were finally thrown away for good. 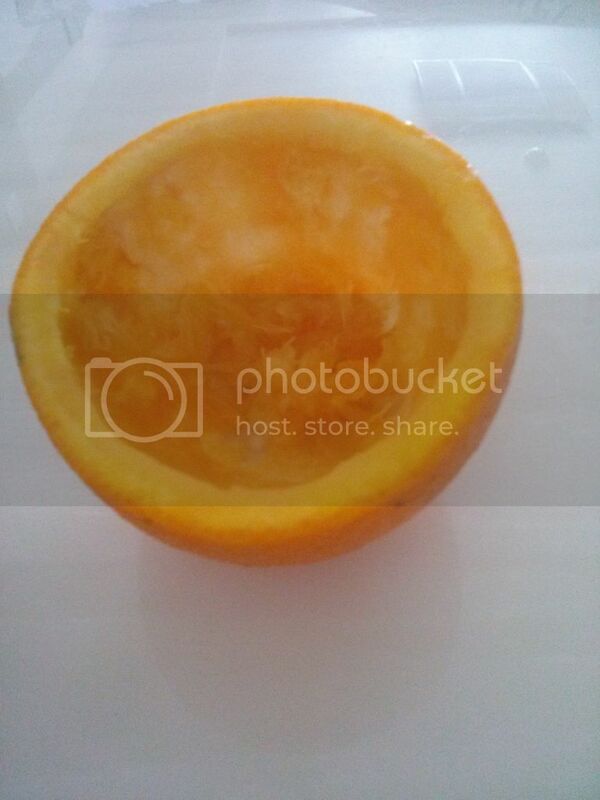 So, after I bought oranges last week, I did exactly what I had newly-discovered. I cut the orange in half and carefully scooped out the insides for our breakfast. I got my tea candles and excitedly and carefully centered each inside the orange peel. Perfect! Tea candles aren’t expensive. It’s the scented oil that are a little bit pricey. Now, with my orange left-overs, I don’t need these scented oil anymore. Well, not until I run out of orange peels! 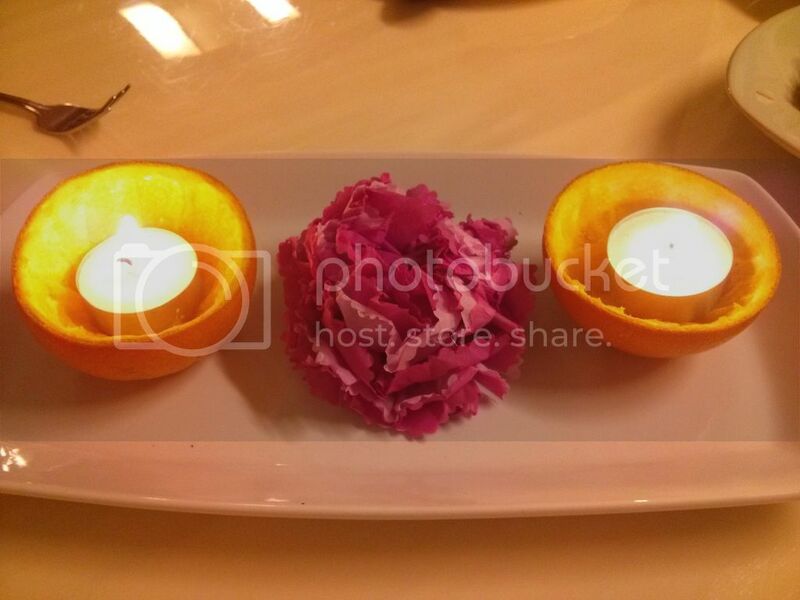 I wasn’t done with the orange peels after one tea candle so I still managed to use them at the dinner table. In the photo below, only two remained since the other one was too dry already to even emit a nice aroma. So there goes my newest household discovery. Inexpensive and beautiful. Very interesting! 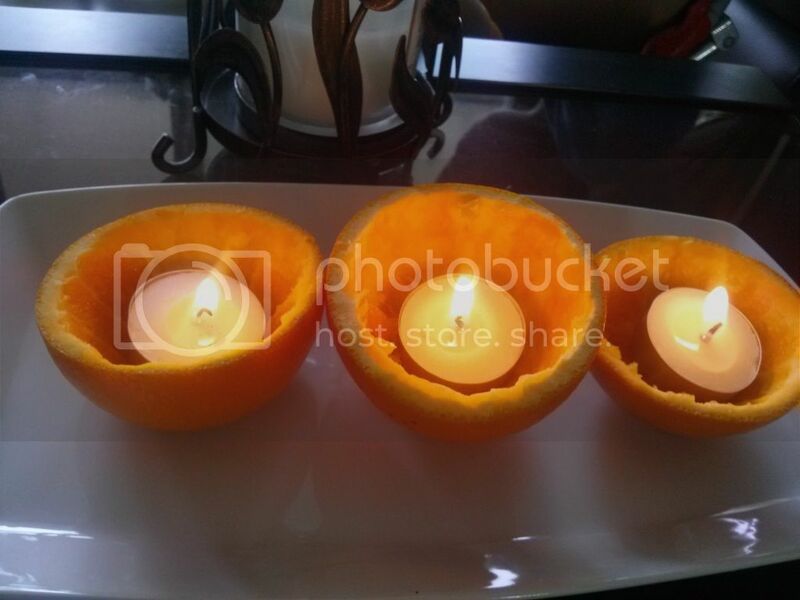 I guess you can find ways to reuse things like oranges ^^. I will send you a picture when I make mine! My husband has started looking at Pinterest, too, after he sees me with so many stuffs I’m trying to work on. so, yeah, enjoy Pinterest! I always keep an eye whenever I light the candles especially when the kids are in the house. they seem to have gotten used to it but still, you’ll never know. So, I’m just more vigilant. Share your experience with the orange peel when you get it done! I understand what you mean. It IS expensive. Sometimes, I just settle for banana hahaha… but thinking of the cost back home, I still feel that even the banana is over priced here. Do share when you do it at your house, too. Pinterest is pretty awesome, in so many ways! I can’t tell you how many travel guides and photos I’ve perused when using it. I used to think of it as solely for women but Pinterest has so much cool stuff, for everyone! This is a pretty cool idea, using a real orange. Thanks for sharing this, Wendy! Cool stuff indeed! I normally stick to incense just because I am afraid of open flames being left unattended plus I am really into the fragrance compared to most scented candles which are way too flowery. I like the orange peel idea though! Might have to try it out sometime. Thanks for sharing! How cool! I seldom buy oranges because they are SO expensive, but this is an awesome way to get your money’s worth out of them! They probably would keep the mosquitos away too.